Home > Cats Meow > Manicure OR Amputation? I have a confession to make. All my cats are declawed. In the world of animal rescue, to say that is akin to treason. To be totally honest with you, when I first got involved with animal rescue I didn’t understand why people were so opposed to it. Anesthesia is used during the surgery and yes, there’s some pain afterwards, but there’s pain involved with spaying and neutering, too, and everyone agrees it’s okay to do those procedures. On the positive side, I’d read that it could help an owner’s relationship with her feline family members because you wouldn’t have to constantly say “no” to them for doing what comes naturally to them—sharpening their claws—in the wrong places… such as your new sofa. On the negative side, I’d heard that it could change a cat’s personality, make him more aggressive and turn him into a pet that bites. I never saw that with my cats. They were just as sweet and cuddly after the surgery as they were before… and none of them bite. Despite all that, I now deeply regret my decision to declaw my cats. At the time I made the decision to declaw, the vet didn’t explain the exact procedure to me and I believed that the procedure was just removing the claw. Since I’m a nurse, I know that if a person’s fingernail is removed it will hurt for a while, but the skin will eventually toughen up and the person will still be able to function just fine, thank you! Several years later I learned, to my horror, that declawing is actually an amputation of the end of the cat’s toe. It’s the equivalent of amputating a human’s fingers at the first joint. That’s bad enough for a human, but for a cat it’s monumental. 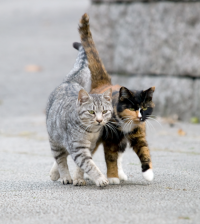 Cats use all four paws to walk and having the first digit removed throws them off balance. Cats usually adjust to this fairly quickly, but in later years this can cause severe back and joint problems. It breaks my heart as I see my cats developing these problems. I give them supplements to try to slow down the progression. It would be cute to see the Elvis Presley swagger as my Sheffield walks ahead of me, except I know his swagger is there because his hip and knee joints are degenerating at an alarming rate. That takes the “cuteness” right out of it. I’ve learned that my cats are much more important than my furniture. When I come home from a hard day at work, they’re all waiting at the door and they’re ready to lend me a helping paw if I need it. Still, like you, there are things I’d prefer not to have shredded to ribbons, so here are some tips to help you teach your cats to sharpen their claws in appropriate places. Please remember that scratching is a very normal, and important, cat behavior. Many cats like to stretch up high, so it’s important to have posts that are tall enough so they can stretch while sharpening their claws. 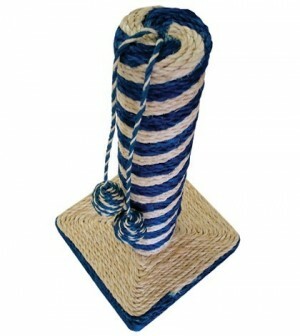 Posts made of carpet and sisal are enjoyed by many cats. Other cats prefer to scratch on something flat. For these cats, flat cardboard scratchers are best. Scratching posts can be bought at pet stores or you can make them yourself, very inexpensively, at home. 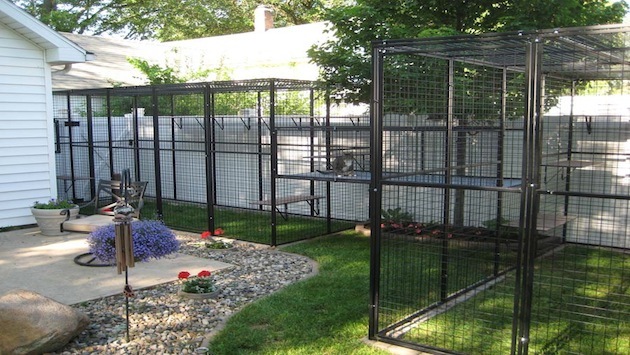 At first you might have to place these near the things your cat likes to scratch, but slowly you can move them away to areas that are more convenient for your household. You can take your cat’s paws and move them up and down on the scratching posts while giving verbal praise or a favorite treat. This does wonders in helping your cat understand good behavior. 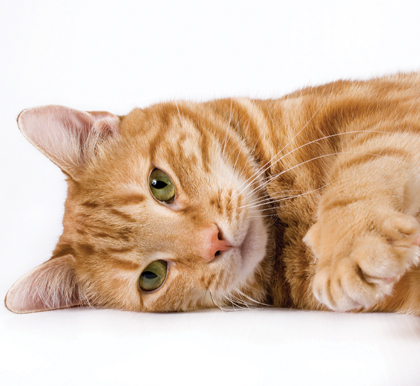 Loud noises (a sharp “no,” or loud clap, or cans tied together and shaken) can keep your cats from using the arms of the sofa as their personal manicurist. Making a hissing noise is also very effective in discouraging unwanted behaviors. Never punish your cat physically! After using one of the negatives (such as a “no”) immediately take your cat to the acceptable place, go through the motions again, and give lots of praise. Another useful tool for teaching your cat to scratch appropriately is a wonderful product called Sticky Paws. The sticky material sticks to furniture without damaging it and it deters cats from scratching. Sticky Paws have the added advantage of being able to curb the behavior when you’re not at home. Sticky Paws also makes a cat scratcher called “Scratch This” which I’ve found to be one of the most effective scratchers for luring cats away from the furniture.